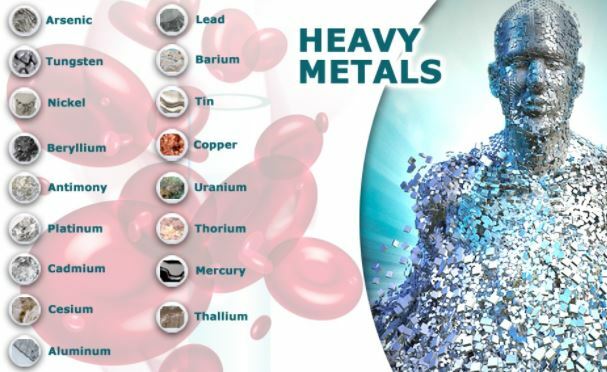 Heavy Metal Toxicity have changed through time to include other metals. This term is now used to pertain to metals and semimetals which have a potential to be toxic to humans and the environment. Some of these substances have no known benefit to humans but some of these are essential for the biochemical processes in the body . Arsenic is a naturally occurring elements that are primarily found in the earth’s crust and it is highly poisonous in its inorganic form. High amounts of arsenic are present in the groundwater of several countries that is used for human consumption and irrigation of crops [1, 2]. Exposure even to minute amount of mercury may lead to serious health problems. Mercury can be found in the soil, water, and air. 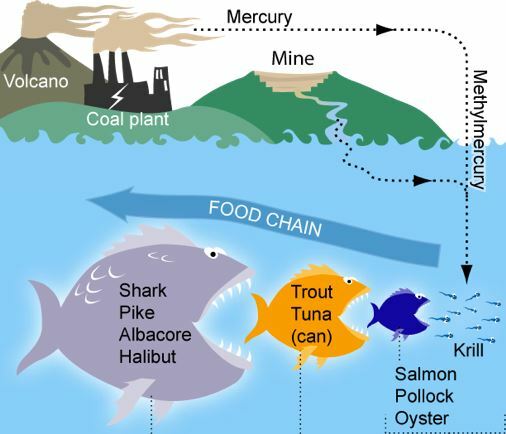 The most common form of ingestion is through the consumption of fish and shellfish which may contain methylmercury, an organic compound of mercury [1, 3]. Widespread use of lead has led to the contamination of environment and exposure of human to lead. This metal is toxic to different systems of the body and can be released to the fetus during pregnancy. Drinking water that is delivered through lead pipes may contain this metal [1, 4]. This metal is also found mainly in the earth’s crust and high concentrations are in volcanic and sedimentary rocks. Humans consume selenium in ground water and surface water sources. Tests have shown selenium is present in tap water [1, 5]. Cadmium is widely used in the manufacturing industry. It is a known carcinogenic and can be inhaled by workers in the factories. Lower amounts of this element are present in crustaceans, mollusks, cereals, vegetables and other root crops. Cadmium can accumulate in the body with the consumption of contaminated food [1, 6]. 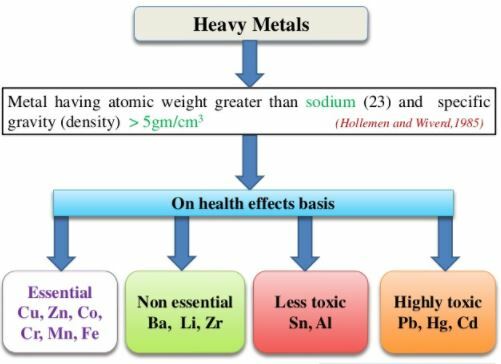 How do you get heavy metal toxicity? The primary methods in which heavy metals enter the body are through the consumption of contaminated food and water and inhalation of tainted air. Seafood like crustaceans and mollusks get tainted when the body of water where they are sourced have high levels of these metals. Cereals and crops may contain a dangerous level of these metals when they get watered with the contaminated water. Factory workers that are in the industries that handle these metals are at a greater risk because particles of these metals suspend in the air that they breathe. Without proper protective equipment, the workers may breathe in the contaminated air and cause problems to the body when it reaches toxic levels [1, 2, 3, 4, 5, 6]. A person who has experienced heavy metal toxicity may present with diarrhea, vomiting, nausea, and abdominal pain. Dehydration is also common in these cases. Other symptoms that may present depend on the metal in the patient’s body . Toxicity of arsenic is associated with the development of skin lesions and cancer. Developmental delays, neurotoxicity, cardiovascular diseases and diabetes are linked to drinking water with high levels of arsenic for a long time [1, 2]. If elemental mercury is inhaled, it may cause vomiting, diarrhea, and fever. Ingestion of inorganic salts may lead to caustic gastroenteritis. Exposure to mercury while pregnant may cause a developmental delay to the fetus [1, 3]. Toxicity to lead may cause encephalopathy, ataxia, headache, obtundation, and headache. Lead is deposited in the bones and teeth. During pregnancy, it gets released in the blood and exposes the fetus [1, 4]. A person who experienced selenium toxicity may present with hypotension, pneumonitis and caustic burns [1, 5]. Inhalation of cadmium fumes may cause pneumonitis. This metal is also known to be toxic to the skeletal, renal and respiratory system [1, 6]. The initial action for a person suspected of heavy metal toxicity is to remove the patient from the exposure. This will limit the dose the individual is exposed to. Once she arrives at the hospital, the priority is to maintain the airway, breathing, and circulation. Emergency intubation may be performed to maintain the patient’s airway. An intravenous access should be established because of fluid losses that occur. Once the patient is stabilized. Certain medications may be given to aid in the detoxification. These drugs depend on the heavy metal the patient is exposed to. Dimercaprol and Succimer can be given to individuals who have been exposed to arsenic, lead, and mercury. Ethylenediaminetetraacetic acid or EDTA can be also given for lead toxicity. Referrals may be done especially if the patient has a caustic injury to their stomach. The patient will be monitored continuously until they become asymptomatic [1, 2, 3, 4, 5, 6]. Some of the ways to prevent the unnecessary exposure to heavy metals at work are to wear the appropriate personal protective equipment while handling these metals. Any symptoms that are felt should be reported immediately to the physician in order to prevent the development of complications. Drinking water from approved water sources will ensure that it is clean and does not have high levels of metals [1, 2, 3, 4, 5, 6]. The toxicity from heavy metals are dangerous and many individuals can be exposed without their knowledge. If you have more information about this occurrence, you can share your thoughts in the comment section below. You can also share this article on your social media sites to help spread the word about this condition.